The Pupil Premium, which began in April 2011, is additional funding for publicly funded schools in England to raise the attainment of disadvantaged pupils and close the gap between them and their peers. Pupil premium funding of £935 per pupil is allocated to pupils deemed to be from low-income families who are registered for Free School Meals, or have been at any point in the last six years, together with pupils who have been in care continuously for sixth months or more. In addition to this, pupils of service personnel are allocated £500 per pupil (this is know as the Service Pupil Premium, or SPP). 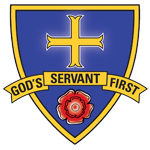 The Department for Education introduced the SPP in 2011 for maintained sector schools in England as part of the commitment to delivering the armed forces covenant. Our Pupil Premium funding is being spent in many areas across the school. This funding can help impact on our students learning, behaviour and attendance. For further information please see our budget booklet. Since 2012 we have held a Summer School during the Summer break for the new intake of Year 6 pupils, focussing primarily on disadvantaged pupils and pupils who are the only pupil from their school with a place here at St Thomas More. This has been very successful in regards to pupils gaining an invaluable foresight of the school, staff and pupils, as well as making new friends with pupils from other schools who have a place at St Thomas More. This helps to ensure students have a smooth transition from primary to secondary schol. Downloads related to our Pupil Premium and Year 7 Catch-up Premium. Information about how Year 7 Literacy and Numeracy Catch-up Premium funding is used. Information about how we used the Pupil Premium funding during the 2017/18 academic year. Our current extra-curricular timetable, providing social, educational and sporting enrichment for Pupil Premium students. Describes some of our objectives for Pupil Premium. Information about how we plan to use the Pupil Premium funding during the 2018/19 academic year.